Do you find yourself looking for discontinued products you loved on Amazon or eBay, say Diet Crystal Pepsi or Frito Lay Lemonade? If so, you may be a “harbinger of failure” — a shopper with a natural affinity for products destined to flop. The term comes from a new study that found that certain people have a knack for buying products that will soon fail (counted as a product discontinued in under three years). In other words, there’s a type of shopper who gravitates toward — and purchases — products that won’t succeed. They do so across the board -- whether it’s cookies or nail polish -- and they typically buy a lot of whatever doomed product catches their eye. 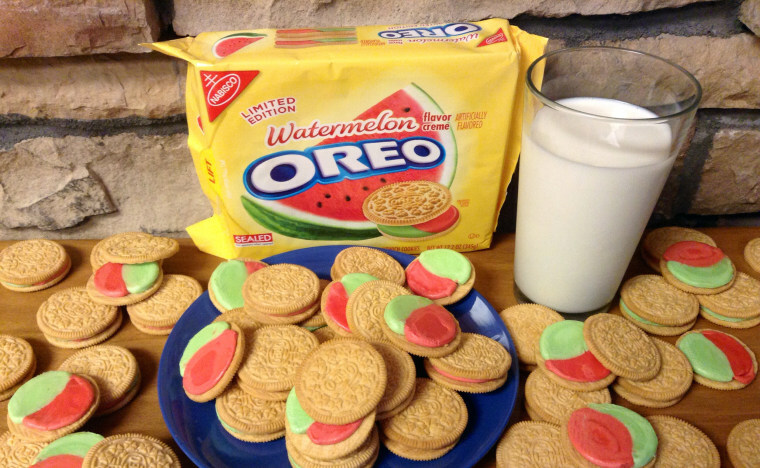 “So people buying (doomed) yellow nail polish (for example) are also buying the Watermelon Oreos that flopped,” Duncan Simester, a co-author of the study published in the Journal of Marketing Research, told NBC News. And it works the other way around, too. The study found that those “who tend to purchase a successful product like a Swiffer mop are more likely to buy other ultimately successful products, like Arizona Iced Tea,” said Simester, who is also a professor at MIT’s Sloan School of Management. Simester and his fellow researchers -- marketing professors Eric Anderson, Song Lin and Catherine Tucker -- believe that identification of the new class of shoppers could help companies avoid costly product flops like New Coke or Colgate dinner entrees by incorporating their insights into the development process. They also were surprised by how many harbingers of failure there are. “About one quarter (of those surveyed) were systematically buying products that failed,” Simester said. The study used data from a large convenience store chain from 2003 to 2009 to survey the buying habits of nearly 29,500 consumers with shopper rewards cards. The anonymized card data enabled them to break down purchases of about 5,000 new products in the following categories: beauty, consumer health care, edibles and general merchandise. Aside from what they bought, the harbingers of failure shopped just like their counterparts who are drawn to successful products. Simester said consumers needn’t worry about which camp they fall into. It’s product developers and retailers who should pay attention, he said. “If these products are being adopted by these harbingers, then you’ve got something to worry about,” said Simester.